As Fire Prevention Week approaches, the Manassas Park Fire Rescue Department encourages residents to “Look. Listen. Learn.” What does that mean? 10/12/18 – Today’s home fires burn faster than ever. In a typical home fire, you may have as little as one to two minutes to escape safely from the time the smoke alarm sounds. Knowing how to use that time wisely takes planning and practice. The Manassas Park Fire Rescue Department is teaming up with the National Fire Protection Association (NFPA) — the official sponsor of Fire Prevention Week™ for more than 90 years — to promote this year’s Fire Prevention Week campaign, “Look. Listen. Learn. Be aware. Fire can happen anywhere™,” which works to educate the public about basic but essential ways to quickly and safely escape a home fire. While NFPA and the Manassas Park Fire Rescue Department are focusing on home fires, these fire safety messages apply to virtually anywhere. “Situational awareness is a skill people need to use wherever they go,” said Robert Gilmer. “No matter where you are, look for available exits. If the alarm system sounds, take it seriously and exit the building immediately. 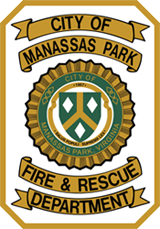 The Manassas Park Fire Rescue Department is hosting an Open House event in support of this year’s Fire Prevention Week campaign, “Look. Listen. Learn,” including station tours, fire engines, medic units, meet and greet firefighters, CPR demonstrations, equipment demonstrations, hands on activities and a live burn demonstration. This entry was posted in Fire and Rescue, Open House. Bookmark the permalink.